Jesus’ response ignores the social and cultural taboos of the day. 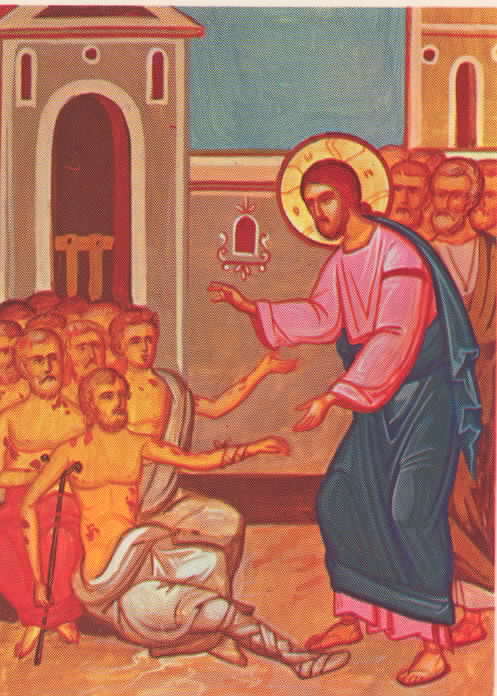 He acknowledges the lepers, draws near, and speaks words of life and hope. “Go show yourselves to the priests.” In other words, go back to the experts. Have the CAT scan redone; tell them to double check the MRI. To their credit, the ten acted in simple obedience to Jesus’ words, and as a result, they were made clean on the way. One encounter with Jesus had ended a lifetime of pain, suffering, and disease. They were made clean. But this healing story is not over. A Samaritan came back praising God for his cleansing. Jesus asked: “Were not ten made clean? But the other nine, where are they? Was none of them found to return and give praise to God except this foreigner?” Then he said to him, “Get up and go on your way; your faith has saved you.” Ten lepers were made clean, but only one was made whole. Ten had their leprous bodies made new, but only one received newness of life, heart, and spirit. Ten received a clean bill of health, but only one showed evidence of a deeper transformation. Ten meet Jesus on the road, but only one enters into a sustained relationship with the Master. What made the difference? What distinguishes this one from the other nine? What separates the casually curious from the Christ-committed? The fleeting fan from the faithful follower? In a word: Gratitude.